DOOMED! explores the circumstances surrounding the legendary cult classic Roger Corman film, THE FANTASTIC FOUR. In 1994, Mr. Corman was asked to produce this classic story on a small budget. The film was ultimately shelved prior to distribution, but a VHS copy was mysteriously leaked and the movie became a “must have” by all. All of the fascinating stories around this ‘lost’ film are told through in-depth interviews with the cast and crew. DOOMED! 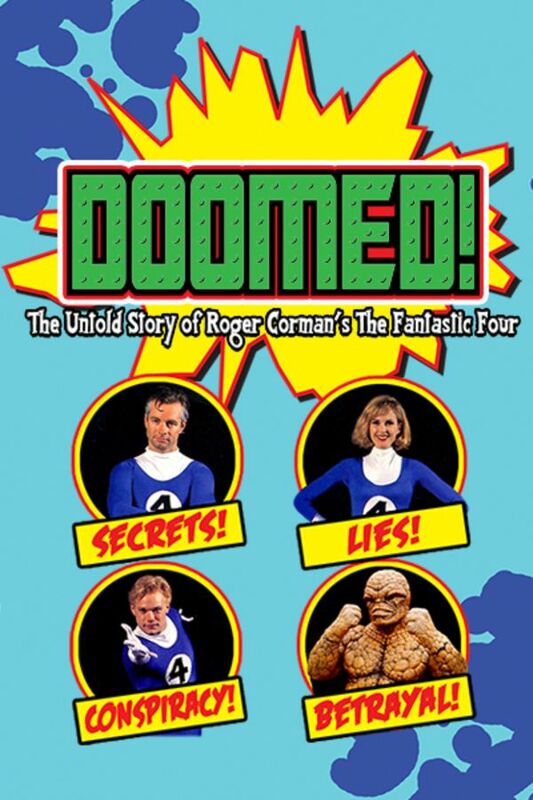 The Untold Story of Roger Corman’s THE FANTASTIC FOUR explores through extensive interviews with the cast and crew, the circumstances surrounding the legendary cult classic and "lost" Roger Corman film, THE FANTASTIC FOUR. Not having been a comic book guy, my only knowledge of the never-released Fantastic For film came from the jokes about it in Arrested Development. Now I have a better appreciation for the jokes, and some sympathy for those involved in the film... and while this doc is informative enough, riveting it is not.